Established in 1905, the Beaux Arts landmark has housed many high profile people including a duchess, nine presidents, and 14 Grammy-winning musical groups. 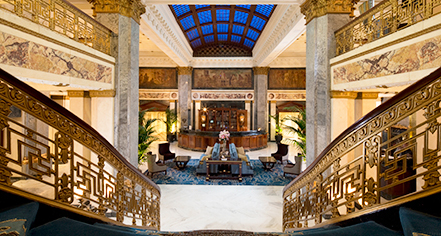 Experience Louisville in one of The Seelbach Hilton's 321 luxurious accommodations or a variety of exquisite historic restaurants and bars, including The Oakroom, Kentucky's first and only AAA Five-Diamond Restaurant. 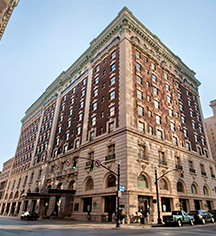 The Seelbach Hilton Louisville, a member of Historic Hotels Worldwide since 2015, dates back to 1905.